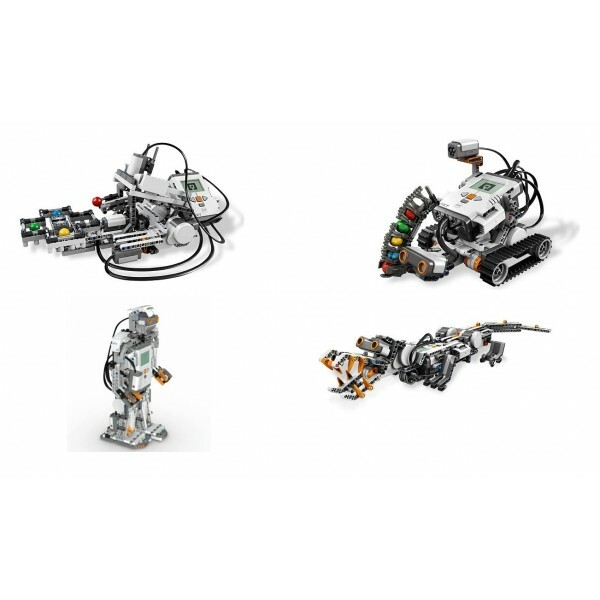 Complete set of Lego Mindstorms NXT 2.0 that contains all the elements necessary to start your adventure with robotics. 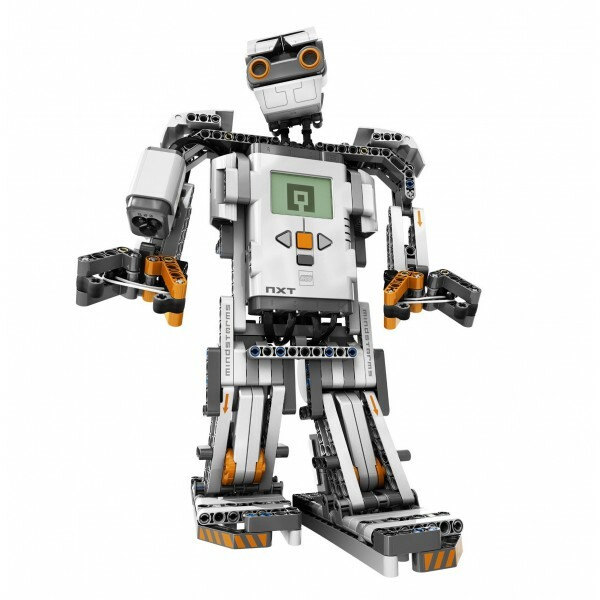 Product replaced by the new version of Lego Mindstorms EV3. A unique series of well-known manufacturer that combines Lego designer (mostly of a series of Lego Technic) with electronic sensors, serwomechanizmami and a Central unit that allows, in particular, the creation of robots and automation systems and their respective oprogramowywanie. The set is perfect for beginning adventure with robotics and electronics, for students of gymnasiums and secondary schools, and University students. LEGO Mindstorms NXT 2.0 is the new kit for building and programming robots on a completely new technology. 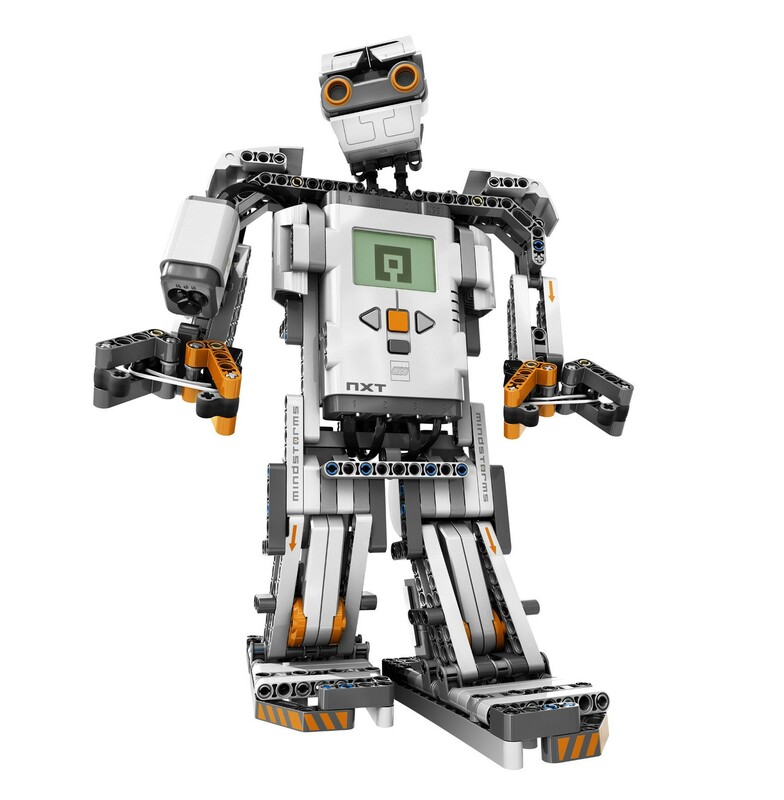 Lego Mindstorms NXT 2.0 combines the unlimited flexibility of the LEGO system mikrokomputerem with intelligent and intuitive software. A new Toolkit 2.0 offers everything you need to create your first robot in 30 minutes, and tens of thousands of other robots that you can build. The new set offers everything that its predecessor. We find here, therefore, a basic element of the set , that is, special software LEGO blocks containing the microprocessor, LCD display, control buttons and ports sensors and motors. You can connect it to a computer with a USB cable or wirelessly via Bluetooth and programming in an intuitive graphical environment NXT-G.
New in version NXT 2.0 is the improved ability to control the bones directly from the computer and hence greater control over the actions of the robot. In the known from the previous version of the touch sensors and the distance, added a color sensor, replacing the old light sensor. Changes bypassed the drive system of the robot that provide 3 servo motors with efficient high-precision turning system. 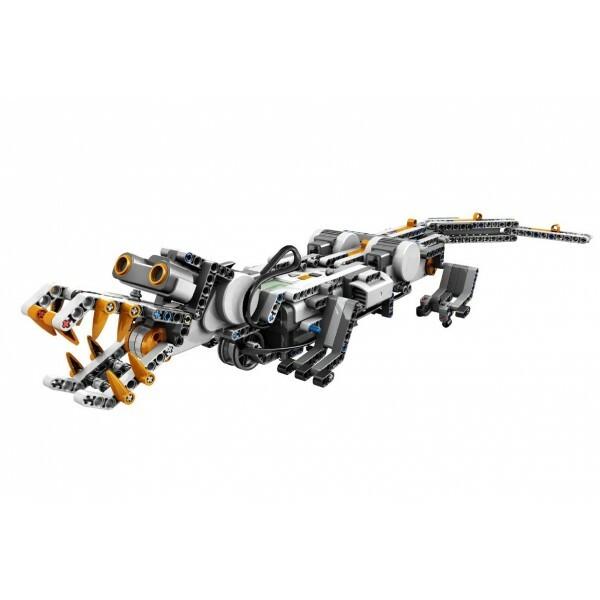 The kit includes a manual four completely new models of robots: an alligator walking across the floor and hunted prey, moving on the tracks of a tank that shoots balls, a robot to sort colored balls and an extended version of the humanoid robot Alpha Rex is known from previous zestawuLEGO MINDSTORMS – a unique series of well-known manufacturer that combines Lego designer (mostly of a series of Lego Technic) with electronic sensors, and computer serwomechanizmami Central unit that allows, in particular, the creation of robots and automation systems and their respective oprogramowywanie. 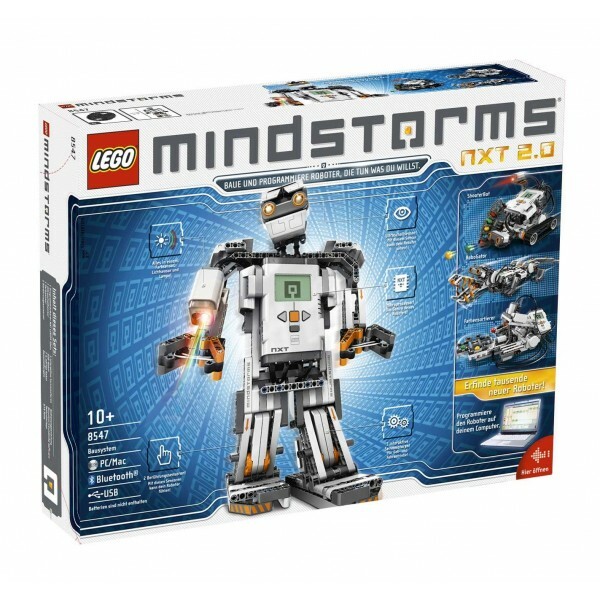 LEGO Mindstorms NXT 2.0 is the new kit for building and programming robots on a completely new technology. 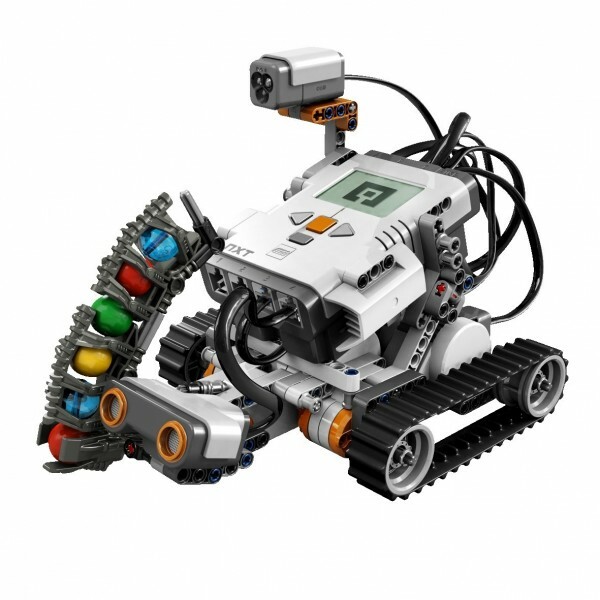 Lego Mindstorms NXT 2.0 combines the unlimited flexibility of the LEGO system mikrokomputerem with intelligent and intuitive software. Tool kit 2.0 offers everything you need to create your first robot in 30 minutes. The new set offers everything that its predecessor. We find here, therefore, a basic element of the set, that is, special software LEGO blocks, comprising: a microprocessor, display , control buttons and connectors for sensors and motors. You can connect it to the computer using a USB cable or through a wireless Bluetooth interface and programming intuitive graphical environment NXT-G.
New in version NXT 2.0 is the improved ability to control the bones directly from the computer and hence greater control over the actions of the robot. In the known from the previous version of the touch sensors and the distance, added a color sensor, replacing the old light sensor. an extended version of the humanoid robot Alpha Rex is known from the previous set. The NXT touch sensor recognizes the touch pressure on the front orange button. It counts single or multiple presses.